If you live in Winter Park, you may be familiar with this problem. Ours is an older town and that necessitates older facilities which give a great deal of the charm and quaintness that Winter Park has to offer. This is a great thing. At least it is a marvelous thing when it does not affect the drinking water in your home. If it does however, South Florida Water is more than capable of providing you with a solution to this issue, and it is one that we are sure you will enjoy using. It is called a reverse osmosis system. What is a reverse osmosis system? A reverse osmosis system is a water conditioning unit that we install in your home attached to the water line wherein we can produce clean and pure water for our clients through a process called reverse osmosis. Reverse osmosis is the process of deconstructing the elemental breakdown of particulate matter until it ceases to exist, and that essentially means that if there is any hard mineral or solid composites in your drinking tap water this will remove them from existence. Many people are discovering the need for cleaner water to drink in their homes. Refrigerators that serve water from their doors cost lots of money, and then they need frequent replacing on their filters too. This is not exactly an affordable option for everyone in Winter Park. However, a reverse osmosis system takes care of this particular issue by being a very effective product that our customers can buy to purify their tap water, so they can have filtered water to drink that is of a better quality than having a water filter in your refrigerator or a portable water filter that you can rent or buy for your home. 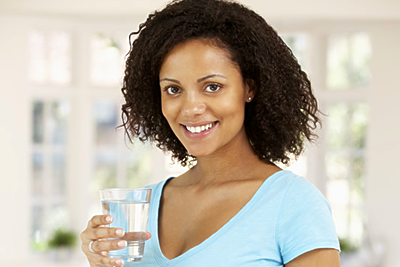 With a reverse osmosis system from South Florida Water, you really will only have to worry about the purchasing of it, because we will do your in-home installation, and on the rare occasion that you need repair or additional servicing, we will be happy to provide you with a good rate for it. The costs are better in savings, and the quality of water that you will be drinking in your home makes this a very appealing option for those who are looking for an affordable and clean source of water to drink in their homes.